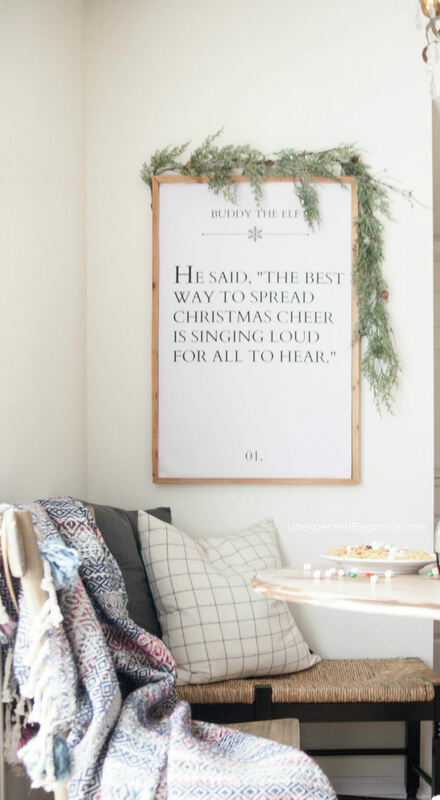 Get this fun ELF Movie quote printable to add to your holiday decor! There’s also a tutorial for creating easy DIY customizable artwork. 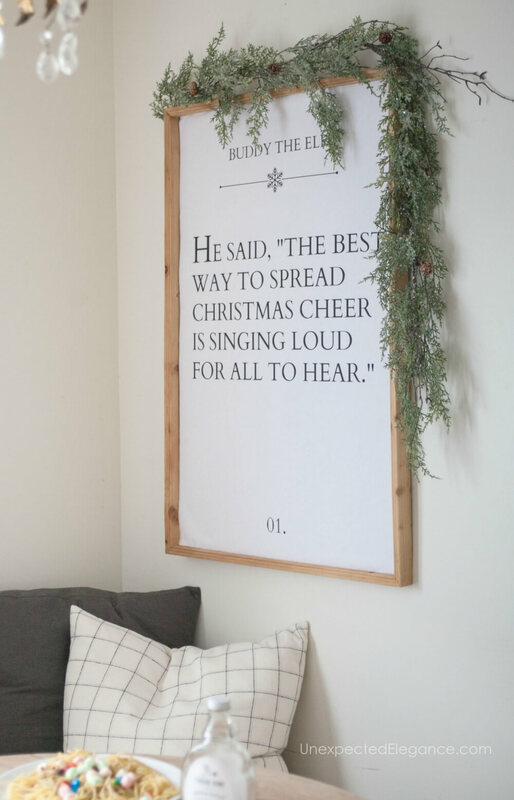 “The best way to spread Christmas cheer is singing loud for all to hear!” Not sure if I could encourage everyone to take that advice, but I love the movie that this quote is taken from. Elf is one of my favorite Christmas movies and I thought it would be fun to add in a little Buddy humor to our Christmas decor this year. 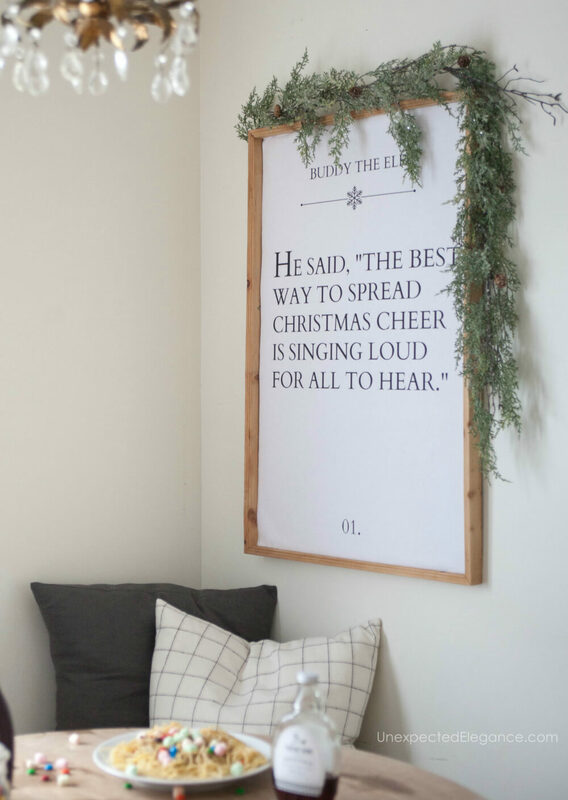 I created the Elf movie quote printable and then had it printed at a local copy shop. I think it came out really cute and adds a little personality to our eat-in kitchen area. I added the print to a frame I already had using a simple trick. I used this same trick last year for my Christmas mantel. 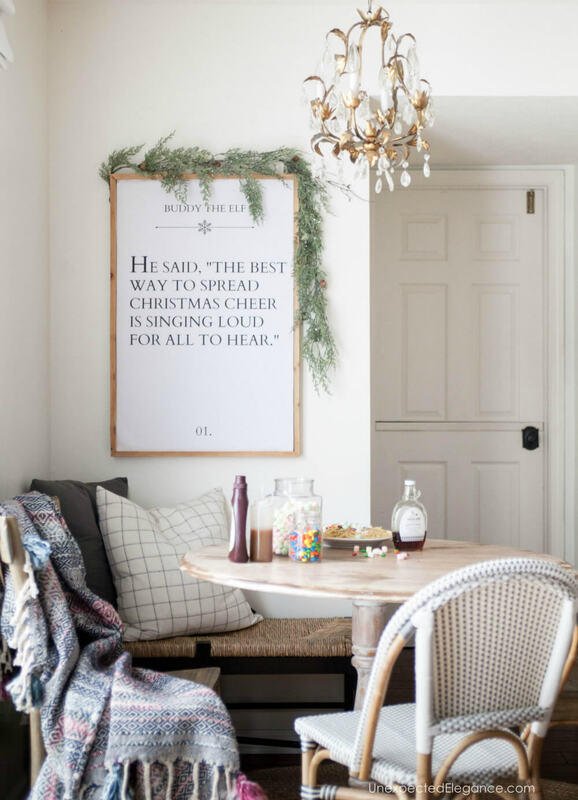 You can find the tutorial for custom DIY holiday art here. Once you have the frame template you can change out the artwork with every season! I love the versatility of being able to change it up. You can get the printable by clicking on the button above. Then, you can either print a small version right on your printer or take it a local copy shop. I had a 35″x 24″ printed copy for less than $4 at Staples. Make sure you know what size your frame is before heading to the print shop and they can custom size it for you before printing. I hope you all have a blessed Christmas! This post may contain affiliate links. You can find my full disclosure here. I love both this and ‘Elf’! It could be a great family challenge to suggest appropriate quotes for different seasons/holidays/events. I am an avid DIYer with a passion for making my house a home. I'd love for you to join me on my adventures!